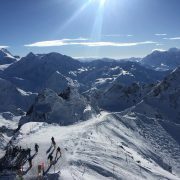 AlpineMojo are always looking for ways to improve our client’s experience when taking lessons, and have added new ski packages to Verbier. Planning your ski holiday is now even easier. 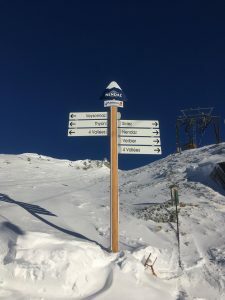 We realised that it could be very confusing to choose which kind of lessons are the best option, especially when there is a particular skiing goal in mind. So we decided to use our experience to create 4 packages aimed at developing certain skills using a set formula and time frame. 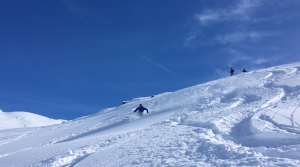 These packages cater for beginners who want to learn to ski; intermediate & advanced skiers wishing to master moguls or try off-piste skiing; and those who wish to explore everything that the 4 Vallées has to offer with a fantastic guide and tutor, no matter their level. Our Learn to Ski package is just that; we take beginners, and get them skiing down a blue run. Our instructor teaches you all you need to know; from how to put a ski on, to having enough control to turn down a blue slope safely. This typically happens within the course length of three 3-hour lessons. If your rate of development is quicker than that, you can progress onto more difficult terrain or refine your technique. To see if you qualify as a complete beginner or false beginner, see what level you are. The phrase “easy when you know how” applies very much to bump skiing. The issues people have in them are usually more to do with mentality and line than technique itself. 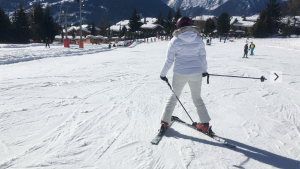 This makes them accessible to anyone who can comfortably ski red and black pistes, no matter their age. Whether attempting them for the first time, or want to be more confident, our ISIA Instructors will develop your understanding and skills to master moguls on terrain appropriate for you as an individual. After tuition from AlpineMojo instructors, you will also be able to ski moguls more efficiently, meaning less tired legs. We cannot guarantee that you’ll love moguls after three 2.5-hours, but we’ll certainly get you skiing well in them! If you’ve always wanted to venture off piste but haven’t known where to start, this is the option for you. 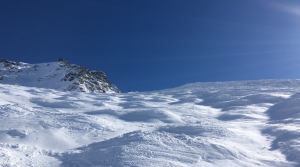 The course includes introducing off-piste equipment, discussing, and then putting into practice on-piste the tactical and technical changes to ski in powder and variable conditions. The Brevet Federal Instructor will then take you skiing off piste to an area that is appropriate dependent on your fitness, previous experience and confidence. Where you ski is subject to the weather and snow conditions; ultimately is at the discretion of the instructor. Your safety is paramount, and their expertise unquestionable. The course consists two 3-hour lessons followed by a 4-hour lesson to enjoy all the skills you have learned. Feel free to call the office before your Off-Piste to Powder course to check the current conditions and to make sure you have the correct equipment. 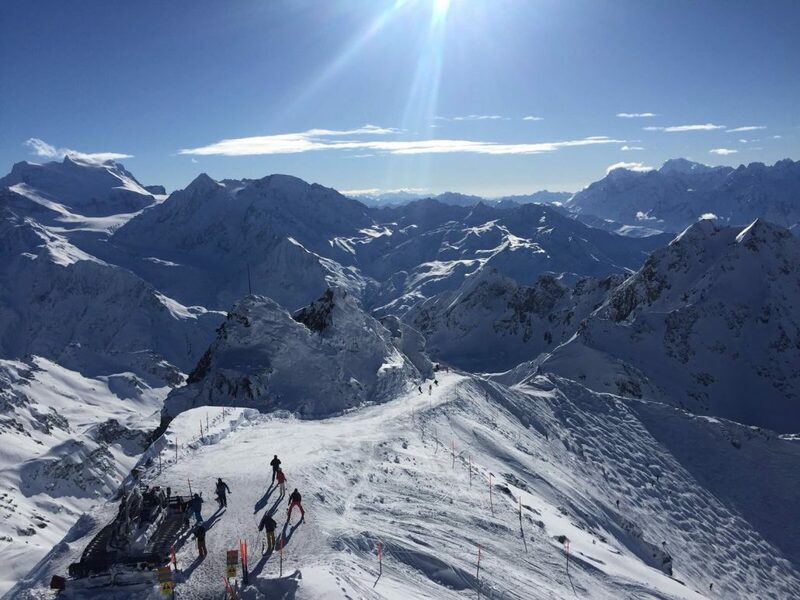 We are privileged to have over 412km of skiing, and that’s not even taking into account the itineraries and off-piste available for the avid skier. AlpineMojo instructors know the 4 Vallées like the back of their hand and can help you with any of your requests. They know where the quietest places to ski are for your level, where the best snow, bumps, and picturesque views are. They know the best places to eat, and what time each lift shuts, allowing you to make the most of each precious day. Use AlpineMojo’s knowledge to make the most of the skiing options available to you on your lift pass. This course consists of five 4-hour lessons.